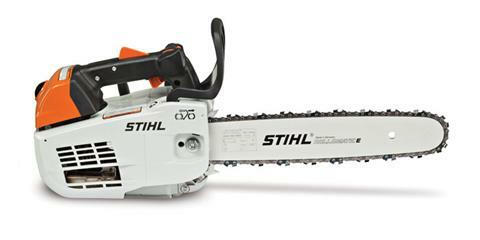 MS 201 T C-M Advanced arborist chainsaw with a top handle and STIHL M-Tronic™ technology. BUILT-IN RETRACTABLE CARRY RING: The built-in carry handle makes it convenient and easy to maneuver in and out of trees. TOP HANDLE: The top-handle model is specially designed for in-tree professional use only!